Sirhan Sirhan, Up For Parole, Said To Have No Memory Of Killing Robert Kennedy : The Two-Way Robert Kennedy's assassin Sirhan B. Sirhan gets a hearing before a California Board of Parole on Wednesday. William Weisel, a TV journalist hit by a bullet during the 1968 attack, tells CNN that he would not oppose Sirhan's release if the parole board granted it. Robert Kennedy's assassin Sirhan B. Sirhan gets a hearing before a California Board of Parole on Wednesday. William Weisel, a TV journalist hit by a bullet during the 1968 attack, tells CNN that he would not oppose Sirhan's release if the parole board granted it. 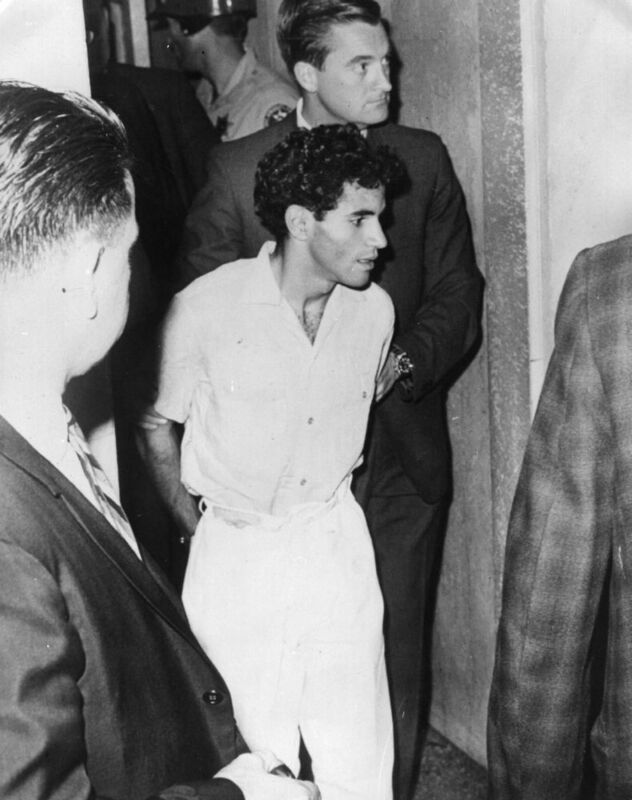 Sirhan, 66, is serving a life sentence and has failed to win parole on 13 other occasions since his conviction for shooting and killing Kennedy on the night that the brother of slain President John F. Kennedy won California's Democratic presidential primary. Pepper says he believes he knows who ordered Sirhan to shoot Kennedy, but won't yet say who it is. He said in addition to the parole hearing, he is preparing an appeal.